"A Mitzvah is a candle and the Torah is light." With the light of the Torah, we are able to get through this world which is called darkness. This world is a very great darkness, it is full of darkness and dangers and very few people are able to make it through this darkness. The Gemara in Sotah gives a mashal of a person who is walking through the darkness of the night; he will be afraid of many different things like thorns, pits, bushes, wild animals and robbers, etc. The Gemara says that this world is similar to that person walking through the darkness. And even worse is that a person has no idea what path he is walking on, "For there is a path which looks straight to a man's eyes, and its end is death." Now how does one get the light of the Torah? This can only be gotten through happiness. If a person is not happy; not happy in doing the mitzvot, not happy when he is learning Torah, then no matter what he is doing, it will not help him; he will still be trapped in the darkness. I was thinking, what is meant by the idea that the Greeks tried to get us to forget the Torah? 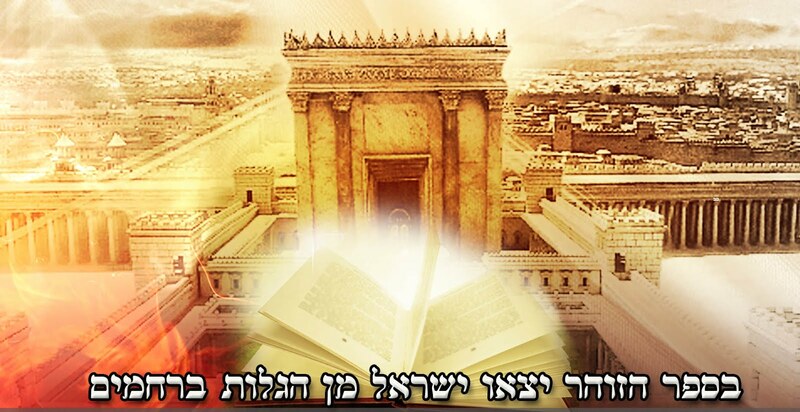 Is it really possible to forget Torah? What it means is that they tried to bring darkness and sadness into our lives which would take away our happiness. This is what is meant by getting us to forget the Torah. They wanted us to stop being happy, because once a person is not happy he is able to get confused and flip the truth completely. A person who performs the mitzvot without simcha doesn't need the Greeks to get him to forget the Torah; he will leave it on his own. Any person who falls away from Judaism is only because they never experienced the joy and sweetness to be found in it. One who tasted this sweetness would never leave such a thing, not for any riches or pleasures in this whole world, for this is the only true sweetness in the world. The only reason we see children leaving religion is because they never saw their parents happy with the religion. This is why I want to make the point of the necessity of singing. Some people feel that singing and dancing is called bitul Torah (wasting time from Torah learning), well those people don't even know what Torah is to begin with! In fact, the only reason why King Chizkiyahu was not crowned as the Mashiach was because he failed to sing. Yosef Hatzadik was faced with a great test of his emuna (faith). His brothers desired to murder him, and then he was sold as a slave and completely cut off from his family. He was taken down to Egypt where he was immersed in a very impure and immoral society where he had no connection at all to Judaism. Then he was put through an extreme test of morality and temptation with the wife of his master, and when he overcame and ran away from the sin, he was still falsely accused and thrown into prison for 12 years. All this could have easily given him a reason to give up on Judaism; he certainly had all the excuses he needed to make a claim against G-d. However the Midrash testifies that he spent the entire time in prison doing nothing but singing and dancing and praising Hashem with happiness. A person must go with this type of faith; that he accepts that Hashem is fully in charge and that he (the person) knows nothing at all. If Hashem wants me to go through this challenge, fine. If He wants me now to serve Him under these circumstances, Fine. I ask no questions on G-d, I just feel happy and privileged to be able to serve Hashem; it makes no difference to me how He wants me to serve Him. If this is what Hashem wants from me right now, fine, I ask no questions on Him, I don't understand anything and I don't know anything. Rebbe Nachman writes in the Likkutei Moharan lesson 4, that if a person knows that everything that happens to him (both the good and the bad) is from Hashem, than this is an aspect of the World to Come. You would think that the Rebbe should have written that if everything goes well for that person, then it is an aspect of the World to Come, but no, the Rebbe is teaching us that we need to know that all that happens to us is from Hashem and for our good (in the World to Come we will have this awareness with full clarity). Now if something bad happens to you, you are supposed to look for the message in it and search for what it is that you need to correct, but this does not mean that you are not supposed to be happy. A person no matter what circumstance he finds himself in must still serve Hashem happily. Even if the suffering is a result of a sin I did, I must still search for how to correct it with happiness. (Teshuva is a mitzvah from the Torah, a person is obligated to be happy when performing the mitzvot. We can even thank Hashem and be happy with the punishment or suffering because it is only there to bring to our attention something that we need to correct. Then, once we make teshuva, the sin turns into a merit, because it now became the catalyst which got you to make teshuva and gain even more closeness to Hashem - YG) Without this understanding, it is impossible for a person to be happy and to go in the ways of gratitude and praise to Hashem. We must remember that this life is not a kiddie camp, there are definitely difficulties and challenges along the way. We need to know that all the light of the Torah is only to be discovered through happiness and gratitude to Hashem. Without this attitude, we will have no way of receiving the light.